Our weekly activity board are eye-catching in a way to keep everyone informed and provides actitity co-ordinators with the ability to communicate daily acativities in any setting. In our security-conscious world we have to have keys for everything! But the more we have the more confusing they become and not being able to find the right key when you need it can be so frustrating. 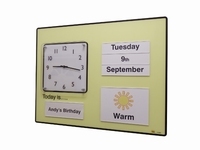 This Personal Orientation Board is maufactured to the same, robust, high-standard to suit a range of different applications. This board features an analogue clock as being oriented to the correct time of the day is important in all circumstances. 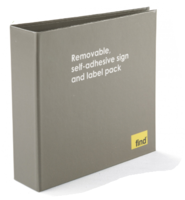 Supplied in a folder, this product uses an ingenious, re-useable adhesive allowing the labels to be stored, removed or replaced as required. To-do lists are a great way to keep track of the things we need to remember.